Parents give their children almond milk for different reasons. Some use it to substitute milk while others consider it as a supplement drink for their children. Some parents consider almond milk because of milk allergy-related reasons. But how should parents feed their babies with almond milk? 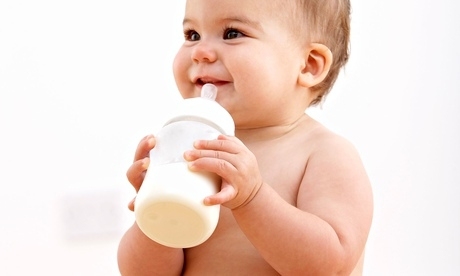 Read on for more details on the safety and nutritional value of almond milk for babies. Almond milk is a good, especially for babies with lactose intolerance. You can feed your baby on almond milk after his or her first birthday. Almond milk has lesser ingredients but is a good adjustment when changing your baby’s diet. Almond milk contains magnesium, calcium, vitamin A, vitamin B and phosphorous. Babies require calcium for skeletal consolidation and growth. The skeletal system includes teeth and bones. 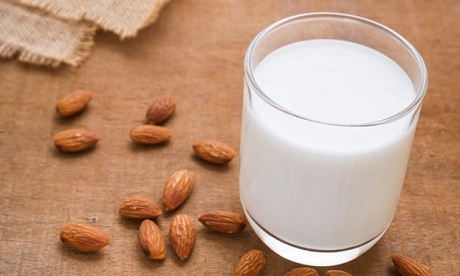 A cup of almond milk provides 35% of the daily requirement of calcium. Additional benefits of almond milk include helping muscular growth and proper development of a baby’s nervous system. Almond milk for babies does not cause allergies as other types of milk. People who are allergic to tree nuts are seldom allergic to almonds. Some babies who are allergic to cow milk can drink almond milk instead. Almond milk is a good food for babies after 6 months when diversification of diet begins. Almond milk is a good energy drink for babies. One cup keeps your baby really active. Adults take almond milk for the same reason. Many adults take a cup of almond milk before working out or exercising. All fats are not created equally. Infants require fats for healthy development of their bones and brains. Hence, parents should choose the right fats for their growing babies. Almond milk is good, but does not provide sufficient nourishment for a child’s growth. Almond milk contains a lot of water and does not have all the nutrients found in almond. For example, the almond milk does not contain as much vitamin E as raw almonds. Besides, almond milk does not contain enough fats, casein, lactose, gluten and any other nutrients that developing children require. A Spanish baby who fed on almond milk alone developed scurvy. The baby started drinking almond milk only at two and a half months after becoming allergic to cow milk. He could not stand or walk on his legs and was tired and irritable at eleven months. X-rays revealed that the infant had thinning bones and fractures in his back and legs. Reasons are that the boy lacked zinc, iron, vitamin C and vitamin D. Drinking almond milk only is to blame for lacking so many important nutrients. You can choose almond milk if your baby has dairy allergy, if he or she hates milk’s taste, or if your family is vegan. Ensure that your baby’s diet contains all the nutrients in traditional full-fat milk, like vitamins and good fats. Here are things you should pay attention to when adding almond milk to your babies' diet. Almond milk for babies is a healthy drink but not a good calcium source when not fortified. Children and teens require enough calcium because their bones continue to build up their calcium content until the age of 30. Lack of enough calcium in the diet may cause osteoporosis, low bone mass and bone fractures at later stages of life. If you choose almond milk, choose a calcium-fortified brand. Avoid brands with sugar and other sweeteners. Ensure that your child’s diet contains enough protein as well. Foods such as peanut butter, black beans, cottage cheese and avocado provide enough protein for babies. Almond milk provides high amounts of energy that will keep your baby active, so avoid giving your baby almond milk just before going to bed because he or she will have a hard time falling asleep. Avoid taking lots of almond milk before exercising as well, because excessive amounts of the energy drink may cause muscular cramps. Almond milk for babies is healthy but could cause nut allergies for some people. Nut allergies may lead to nausea, stuffy nose, itchy rashes, coughing or wheezing, diarrhea, vomiting, stomach cramps and watery eyes. Severe cases of nut allergies lead to anaphylaxis, which is a life-threatening reaction that lowers the blood pressure and causes airways to swell. Some nut allergies are hereditary, while others are not. If you have a family history of food allergies, consult a pediatrician before feeding your child on foods that can cause allergies such as almond milk. Parents should be cautious when introducing almond milk just as with other new foods.